Ron Crowcroft Brings Reverse Glass Painting into the 21st Century at Gunn Memorial Stairwell Gallery. 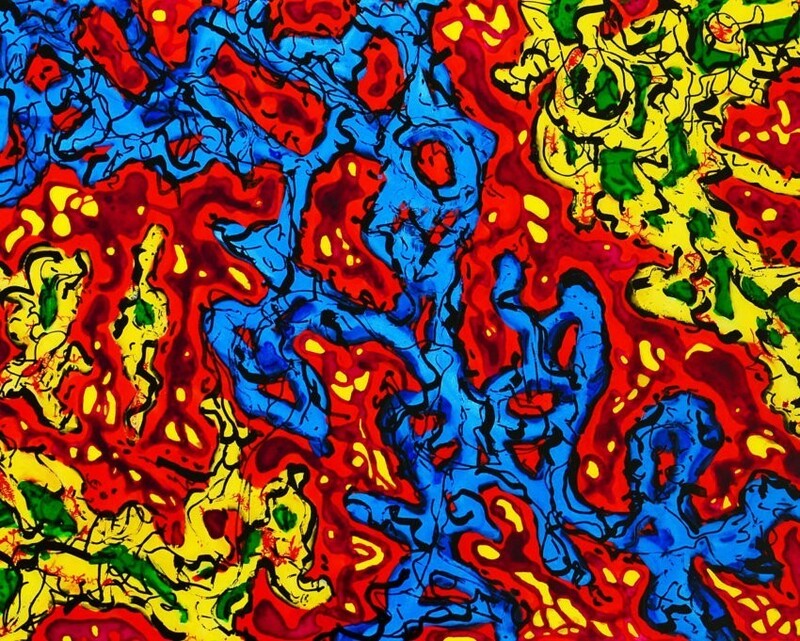 Experimenting with a centuries-old technique once used by fine artists and goldsmiths, Connecticut painter, Ron Crowcroft, has created a bold new collection of colorful abstracts, on display at the Gunn Memorial Library Stairwell Gallery in Washington from March 2 through April 13. There will be an opening reception at the library’s Wykeham Room on Saturday, March 2 from 12 to 2 PM. Besides painting, Crowcroft works in a wide variety of media including drawing, sculpture and photography as well as performance art, video, electronic music, poetry and humor. His work can be viewed at roncrowcroft.com. For further information, please call (860) 868-7586 or email [email protected] The Gunn Memorial Library is located at 5 Wykeham Road at the juncture of Route 47 opposite the Green in Washington, CT. For library hours and to learn more about Gunn’s programs and events visit gunnlibrary.org. Please check with the Gunn Library for the specific hours of the exhibit.